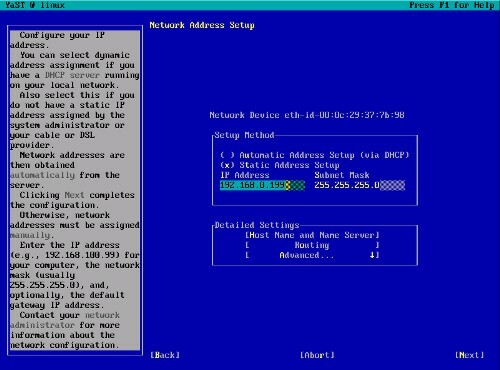 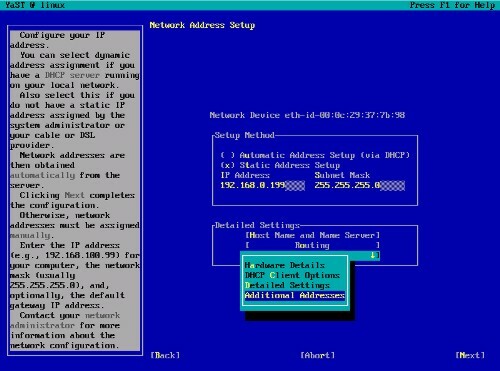 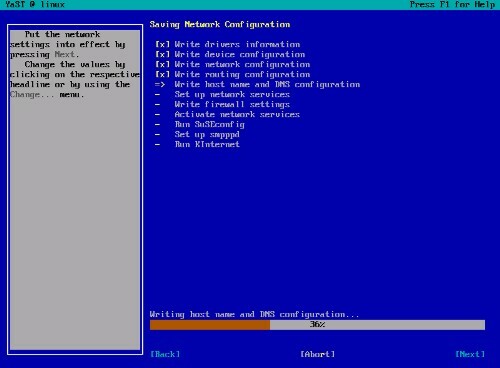 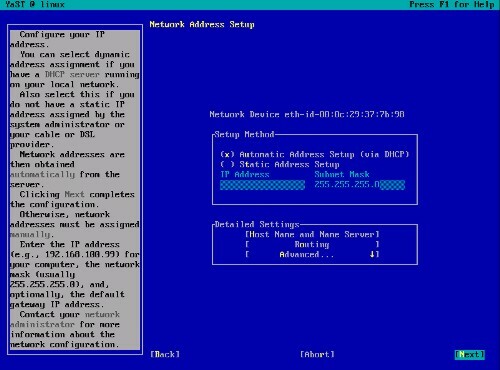 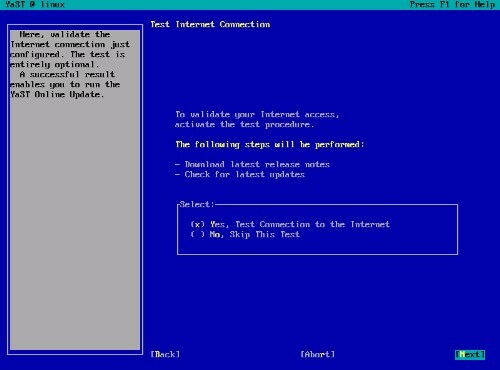 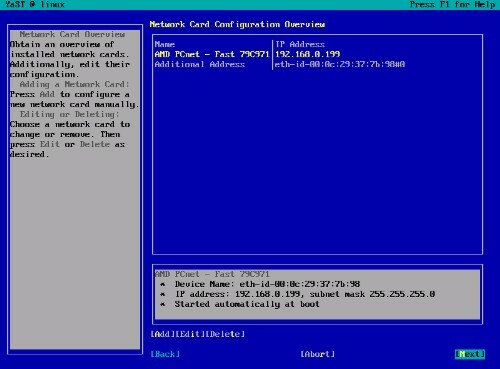 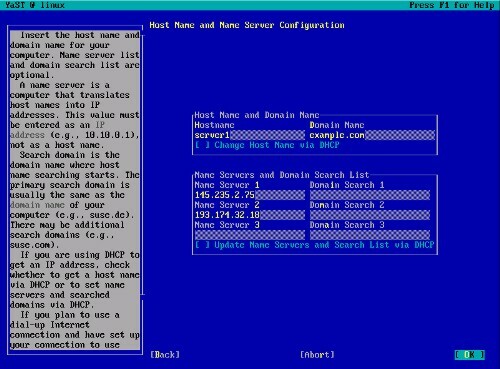 Now we do the network configuration. 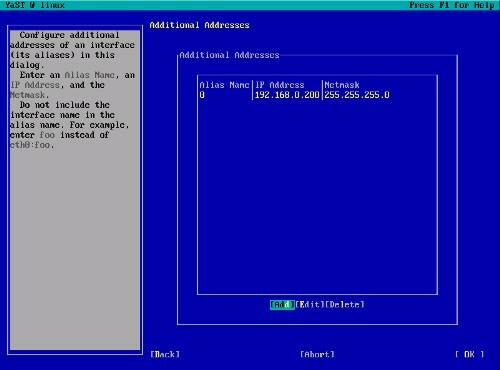 Hit the [Tab] key until the window with the settings is highlighted, then hit the cursor keys until Network Interfaces is highlighted and hit return. 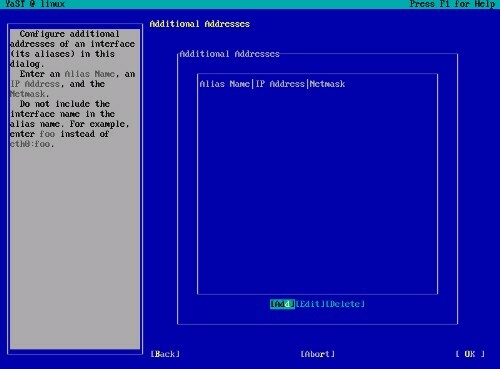 Then select Add to enter the additional IP address.